Ellis Hankins earned his B.A., Master of Regional Planning and Law degrees from UNC-Chapel Hill. As an attorney with the firm based in Raleigh, his practice focuses primarily on local government representation and appellate advocacy. He teaches as a visiting professor in graduate public policy and management programs at UNC-Chapel Hill, NC State, and Duke University, in the areas of state and local government, tax policy and public finance, public law and ethics, and intergovernmental relations. He also has assisted cities, counties, public risk pools, state municipal leagues, and county associations with executive searches and other management needs, as a member of a nationwide public sector consulting firm. 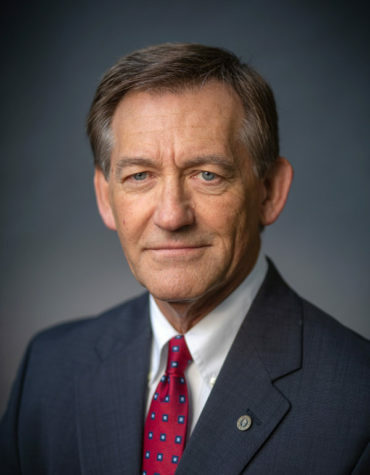 Mr. Hankins served as Executive Director of the North Carolina League of Municipalities, the statewide municipal association, and previously as the League’s General Counsel and chief state legislative lobbyist. He has represented municipalities and other public and private sector entities and associations in state and federal trial and appellate courts and before congressional committees, as a member of the League staff and in private law practice. He is licensed to practice law in North Carolina and is admitted to practice before the U.S. District Court for the Eastern District of North Carolina and the U.S. Court of Appeals for the Fourth Circuit. He is a former member of the National League of Cities Board of Directors; the NLC Mutual Insurance Company Board of Directors and Executive Committee (reinsurance company); the NCLM Risk Management Services Board of Trustees; the UNC School of Government Foundation Board of Directors; and the Wake County Parks and Recreation Commission. He assisted with the transition of North Carolina Governor-Elect Roy Cooper, leading the assessment team that evaluated the Governor’s Office, Department of Administration and Office of State Human Resources. Mr. Hankins is a lifetime honorary member of the NC Municipal Attorneys Association and the NC City-County Management Association, and he received the Grainger Barrett Award for Excellence from the NC Bar Association Government and Public Sector Section. He is a member of the Order of the Long Leaf Pine, bestowed by Governor McCrory for exemplary service to the State of North Carolina.